BlackBerry Bold coming to Rogers before AT&T? | BlackBerry Blast! BlackBerry Blast! > News > BlackBerry Bold coming to Rogers before AT&T? BlackBerry Bold coming to Rogers before AT&T? A recent rumor says that Canadian customers will get the BlackBerry Bold much earlier than US AT&T customers. 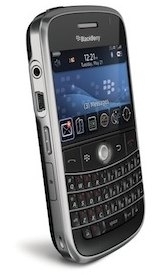 According to The Boy Genius Report Rogers may launch the BlackBerry Bold as early as June 25. Most reports about AT&T's release date put the BB Bold in the July/August time frame.